YES, We Can Use Your Antlers! 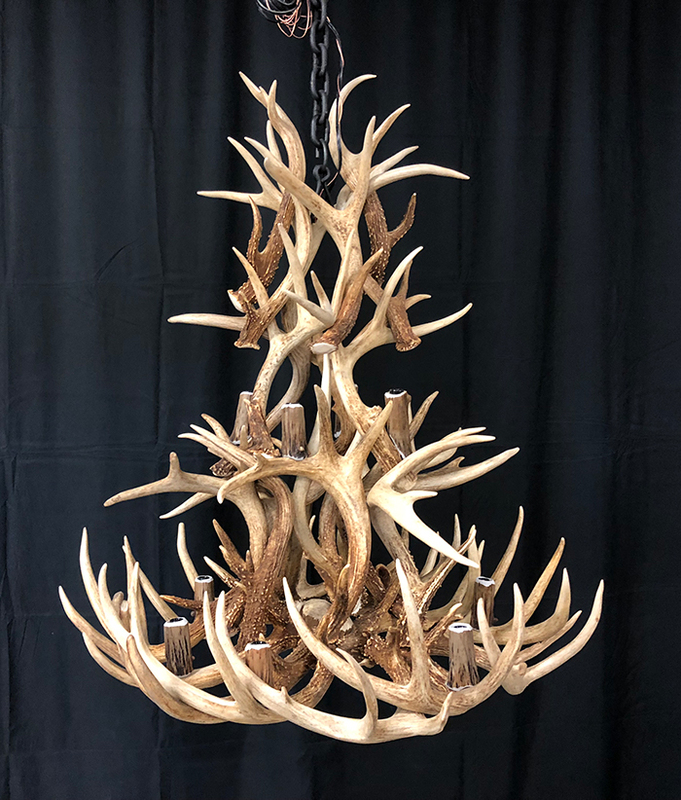 Many times customers have their own antlers that they wish to have a chandelier created from. 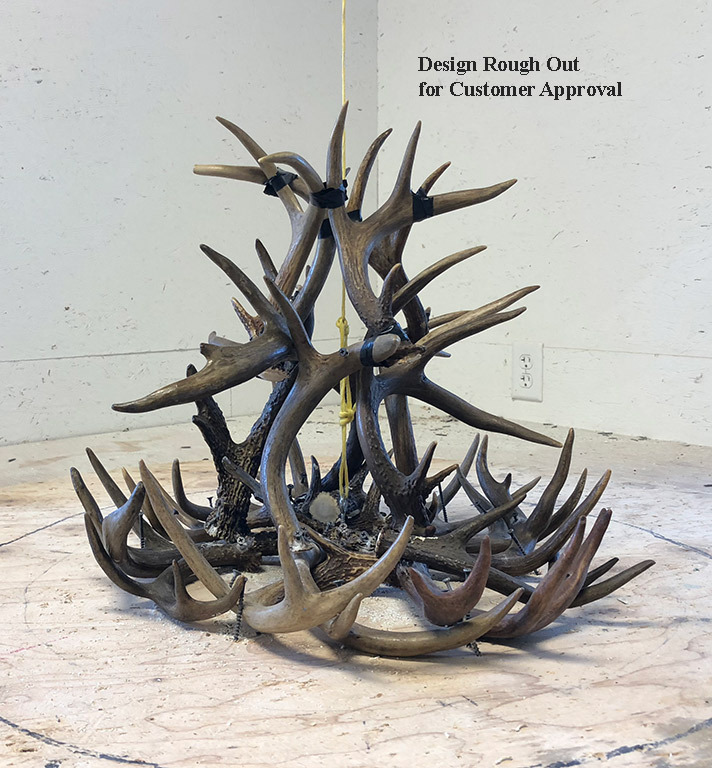 The sentimental value and memories are incorporated into an heirloom quality antler lighting design. We welcome you sending us your antlers and we will work with you on your design. It might be one of our current designs or something special you have in mind. Simply give us a call, we will provide shipping instructions and send you photos as we are roughing our your special piece. If you do not have enough antlers for the complete design we can supplement the design with our antler. We credit you the full value of your antler towards the design. 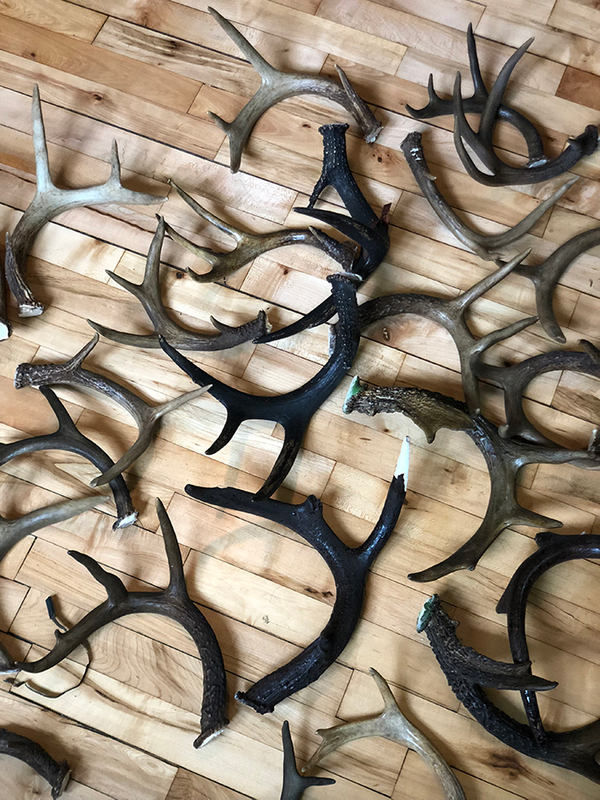 That value is calculated based on number of antler, weight and which ones we will actually use. 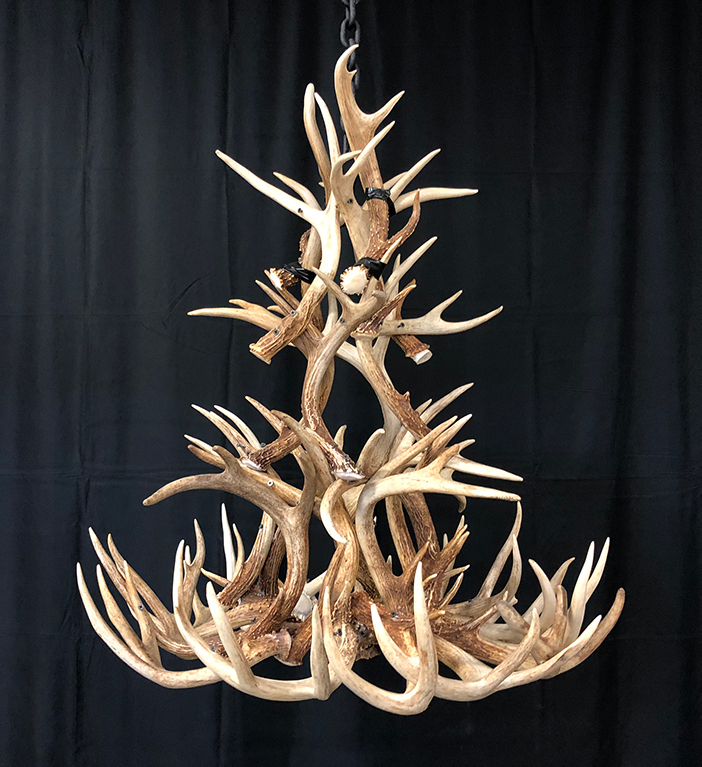 Any antlers unused will be returned to you with your chandelier.